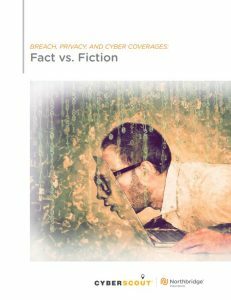 Breach, privacy, and cyber coverage: what’s the difference? Will your insurance help cover the fallout of a data breach? How about software repair? Can your business count on a safety net if a virus infects your system? The truth is, not all cyber coverage is created equal. In many cases, the devil is in the detail, so you’ll want to get familiar with the various types of data breach and cyber risk coverage, and which may be best for the size and nature of your business, so you can rest assured your business has the coverage it needs if your defences are breached. The scope of cyber risk today is wider than ever, and an awareness of those risks – plus mitigation best practices – is vital if your business is going to stay one step ahead. Unfortunately, it can be hard to keep up with the evolving threats, not to mention how best to combat them with the right sort of coverage. What’s worse is that some financial institutions can be as confused as their clients, which can pose challenges. You can help your business get the support it really needs with this cyber coverage primer. Check out all the details in our white paper below! Cyber Programs: focus on services and systems related to technology and their use in business. Customers are also commonly covered for damages if they inadvertently transfer a virus to a network owned or operated by someone else. Data Breach Programs: often used interchangeably with privacy breach programs and/or security breach programs. These can provide protection for businesses in the event sensitive data is compromised or exposed. Privacy Breach Programs: more broadly defined than others, a privacy breach program can protect businesses in the event customer, consumer, or patient data is compromised or exposed. This coverage typically focuses on services and systems related to technology and their use in business. Risks addressed include website and software design, network equipment, and damage caused by service interruptions and computer devices. This protects businesses in the event customer, consumer, or patient data is compromised or exposed. Costs associated with first-party response and third-party liability exposures may also be covered under such a policy. Provides for legal expenses associated with regulatory compliance, such as federal mandates and financial industry regulations, including contractual agreements surrounding compliance. Focuses on liability costs related to defending against consumer-based litigation or regulatory actions that arise as a result of a breach. Cybercrime or cyber risk coverage? The terms sound alike, but there’s a difference: cybercrime is a peril within crime policies, while cyber risk is something separate. Social engineering is a good example of where these coverages differ: when social engineering results in a financial loss, it would fall under cybercrime. However, if social engineering leads to a loss of confidential data, this would be considered a cyber risk peril. When it comes to cyber risk, size matters. Larger companies tend to gather, process, and store large amounts of information, plus they often use complex technology and network infrastructure. In turn, there can be more points of weakness that call for an especially large and detailed cyber program. Small and midsize businesses typically won’t face the same levels of risk when it comes to cyber exposure, since they often rely primarily (or solely) on their internal systems rather than on the networks of other businesses. But while they may not have the same general cyber risk as large businesses, they often have a higher privacy breach risk. However, business size isn’t everything. Some large and small companies in industries like healthcare, legal, or financial sectors may require more robust privacy breach programs than usual. After all, these sorts of businesses are often responsible for managing sensitive personal information – data that, if exposed, could bring significant harm to people. In many cases, businesses of every size can benefit from value-add products that build out a basic cyber policy with features that can truly help out in times of crisis. Not all cyber policies are created equal, but we’ve come up with a comprehensive solution that Canadian companies can rely on. Ready to learn more about how we can help prepare you for digital challenges? Read our cyber coverage white paper, dig into our cyber risk resources, or get a quote today!